The Fantastic Four were Stan Lee’s first Marvel superheroes and the colourfully neurotic family of superheroes have been pillars of that comic book universe ever since. We now live in a world where Marvel properties have been established so consistently and successfully on the big screen that there are even Ant Man and Guardians of the Galaxy movies worth watching. Yet somehow, Marvel’s first family continue to get the shaft. It should be easy to make a FF flick given all of the decades of wonderful stories that already exist through colourful panels. Yet, thus far, we’ve only gotten one Roger Corman movie so brutal it was never released, two dreadful early 2000s blockbuster misfires, and now a dark n’ brooding reinterpretation that admittedly tries out some interesting ideas, but ultimately fails once more (just in all new and exciting ways). 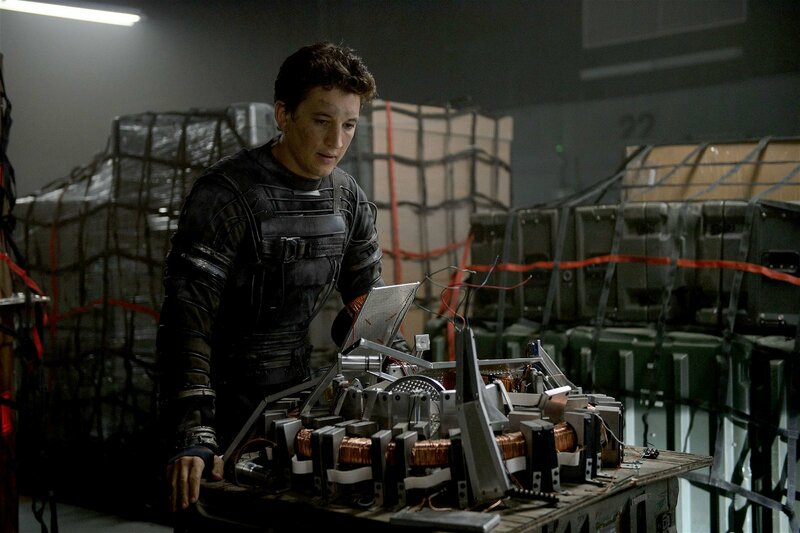 Chronicle director Josh Trank walks audiences through the Fantastic Four origin motions again, only this time with the genre shifted to sci-fi with hints of body horror. We meet Reed Richards as a kiddie scientist who invents what he thinks is a matter transporter along with his buddy Ben Grimm. It doesn’t do much beyond shut down the power in the neighbourhood, but years later Reed gets the machine working and takes it to his high-school science fair. The teacher thinks its BS, but scientist Dr. Franklin Storm (Reg E. Cathey) not only knows it works, he realizes that it’s actually a window to another dimension. He quickly hires Reed to come to New York and help him complete his own dimension-hopping project. Reed is then partnered up with the doctor’s adopted daughter Sue (Kate Mara), her ne’er do well brother Johnny (Michael B. Jordon), and the unfortunately named dark dork Victor Von Doom (Toby Kebbell). Together they make a fully functioning interdimensional portal, and after their bosses refuse to let them take it for a test ride, they get drunk and go anyway (along with Reed’s old buddy Ben). Unfortunately things go horribly wrong and Victor ends up trapped in the other dimension while the four others soon find themselves saddled with body mutating powers. 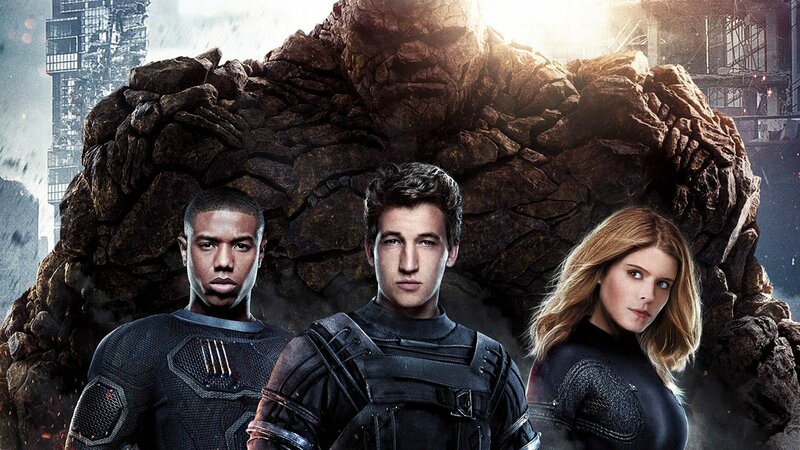 Aside from some pacing issues and failed attempts at humor, it has to be said that the first half of the new Fantastic Four flick is actually pretty compelling. Trank’s decision to shift genres out of the goofy Marvel superhero fair that’s so popular these days into speculative sci-fi is a clever one. It gives a familiar origin tale a new tone and style. When the gang comes back and find their buddies sullied with stretchy limbs, invisibility, flaming skin, and a rock monster physique, Trank plays it all as painful body horror in easily the best section of the movie. This isn’t Stan Lee’s gang of goofy scientists who accidentally turn themselves into a superhero team. It’s a group of unsuspecting kids going through tragically horrific mutations that just happen to be the same powers of the Fantastic Four. 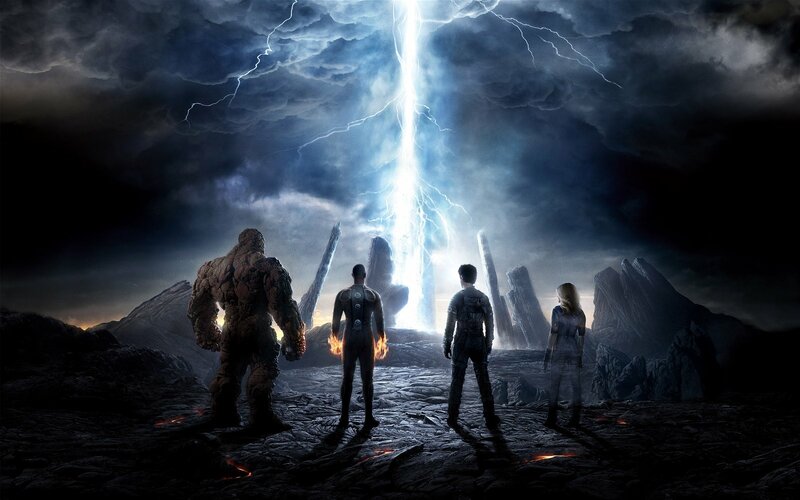 If Trank had somehow convinced Fox to allow him to make a purely sci-fi horror reinterpretation of The Fantastic Four that ends with the four potential heroes locked up in abject misery, this would have been a truly unique and bizarre Hollywood movie worth celebrating. Unfortunately, since the flick is called Fantastic Four and superhero blockbusters are the biggest business in La-La-land these days, this thing has to become a standard issue superhero flick eventually. So, after the gang are locked up, they’re slowly encouraged to develop their powers for the government and eventually even fight off a CGI villain in a CGI landscape in a completely disposable finale. It’s hard to tell if Trank simply wasn’t interested in this aspect of the movie or if endless rewrites and reshoots watered down the third act until it became indistinguishable from every superhero movie from the last 15 years. Either way, the movie completely falls apart in the second half. There were rumours of production troubles on this flick and the final product sure shows that. Editing is awkwardly choppy, suggesting radical recuts; scenes from the trailer didn’t even make it into the final movie, and worst of all, it just feels dull after a certain point. Yep. Sadly, The Fantastic Four have been stuck with another disappointing blockbuster unworthy of the brand name. To be fair to everyone involved, at least the first half is pretty good before the movie completely flies off the rails. There are enough interesting ideas in play to suggest that the filmmakers were on the right path until whatever it was that went disastrously wrong happened. It’s a real shame because the goofy dysfunctional family dynamic of The Fantastic Four is loaded with potential for a great movie and you only need look at Brad Bird’s masterful The Incredibles to see that. 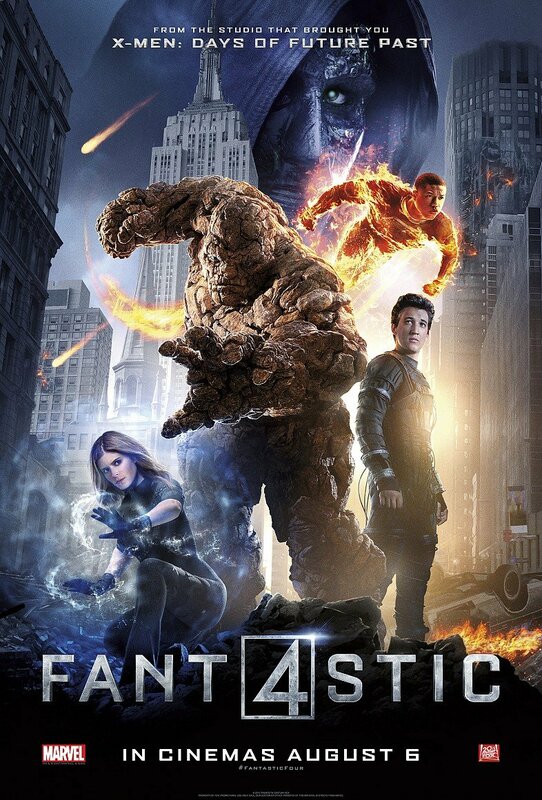 At the very least, this frustrating feature is the best attempt at a Fantastic Four thus far. Even the cast is pretty good, so if the movie somehow makes enough cash to justify a sequel, there’s a chance someone could right the ship and give fans the Fantastic Four flick they deserve. Sadly, that’s unlikely to happen though. Superhero blockbuster fatigue has already set in amongst most viewers, so they will likely balk at an FF failure, given that they only have to wait a few months until the next superhero flick anyways. What a shame. This project had potential, but whatever curse was placed on The Fantastic Four by the movie gods clearly ain’t going away anytime soon. Yep. Sadly, The Fantastic Four have been stuck with another disappointing blockbuster unworthy of the brand name.